Prior to the discovery of insulin, diabetes came as a death sentence to anyone who was diagnosed with it. Little could be done to help the innumerable people world wide suffering from the disease. Patients were put on a starvation diet – less than 1000 calories per day – which potentially lengthened their life, but did nothing to prevent their suffering. The discovery of insulin saved the lives of hundreds of thousands of people everywhere – largely children. Whether or not they were treated by Dr. Banting – Dr. Fred, as many called him – they were eternally grateful to the work of this man and his colleagues (Charles Best, John Macleod and James Collip) for giving them back their lives. Throughout Dr. Banting’s life, letters poured in from people with diabetes world wide thanking him for the discovery of insulin. He maintained correspondence into the 1930s with many of the first patients to receive insulin – such as Elizabeth Hughes – and was always eager to hear how they were faring. Dr. Banting once said that “More than any other disease, [diabetes] requires an intimate cooperation between physician and patient.” In order to achieve this “intimate cooperation,” Dr. Banting developed close relationships with the people he treated. The man behind the insulin comes out through the words of his patients. They speak to him affectionately and openly, even the children. Many say how much they miss him, that they hope he’ll visit soon, and are eager to share their latest milestones with them, such a first Thanksgiving feast or eating their first potato. They sent him pictures – “Don’t I look fat?” they asked excitedly. They weren’t just writing to a doctor, a giver of medicine; they wrote to a friend, a loved one, a giver of life. Dr. Banting was a passionate man who truly cared about the people he was helping. The work Banting, Best, Collip, and Macleod did in the early 1920s continues to provide millions of people world wide something that wouldn’t have had otherwise: the chance to live a long and plentiful life. This is why, here at Banting House NHSC, we invite all of our visitors to write their own letter to Dr. Banting, telling him of their lives and the way they have been touched by the discovery of insulin. Many people have intimate connections with diabetes, they either live with it themselves or know a loved one who does; but many others are simply inspired by his story and the importance of his work. Some simply want to comment on his talent as a painter. The message is clear no matter what: Dr. Banting’s story and personality still reaches and touches people today. The connections he fostered in his life time with other people continue to thrive as new ones develop. In order to highlight this side of “Dr. Fred,” we’re building an exhibit showcasing the letters written to Banting during his lifetime and here at Banting House. We want people everywhere to be able to offer their own contributions, whether they can make it to visit us or not, and so we invite you to visit our “Dear Dr. Banting” to leave a message in the comments addressed to Dr. Banting. Messages like these ones reinforce the significance of Dr. Banting’s work and reveal in new ways his continued impact on society today. 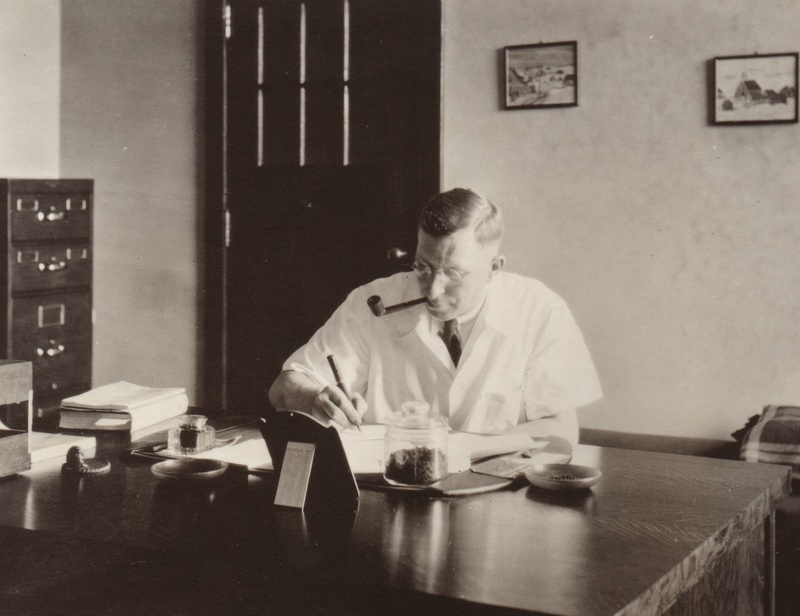 Do you have letters in your own records written to or from Dr. Banting during his lifetime? We’d love to get a copy for our collection. Please email grant.maltman@diabetes.ca. We appreciate your support! Posted in Banting's Memoirs.Tagged Charity, Children, Dear Dr. Banting, Diabetes, Exhibit, Insulin, Patients, Quote.